My kids love candy canes.Ã‚Â Obviously because they are sweet and available only once a year over here. Finally, the bigger and more exclusive supermarkets are selling them.Ã‚Â You can’t find it elsewhere probably because they are not cheap. A dozen in a box costs RM8.Ã‚Â There are candy stores selling them for RM2.50 per piece.Ã‚Â We like the peppermint flavour and stays away from the liqourice flavour.Ã‚Â Just too weird for our Asian tastebuds. Get yourself some candy canes cos it is so Christmas-sy. 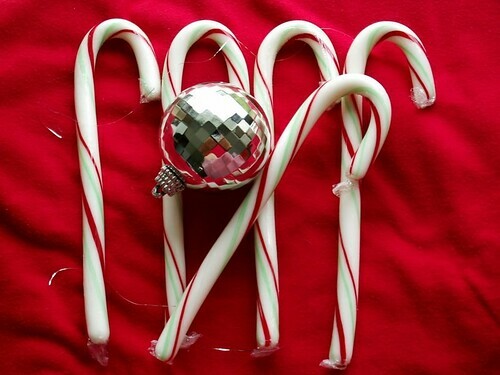 I have never tasted Christmas candy until last year…really “suaku”…Ya..I love the peppermint anytime. Oh my..!! it’s el cheapo here.. !! a box of 12 . is a buck..!! QV – Then, hang money, red, blue and dark blue? Sure laku wan. Hehehe. J – Ya, so nice to visit the shopping mall. But we have only one decent mall here. Hopefully, the new one opening 1.2.06 will be nicer. MamaBok – Maybe we should start an import/export business together. Hehehe. TehSee – It is pleasantly sweet and refreshing. Its cheap here too. But if we buy this after xmas, lagi cheaper. Dont really like the taste. But I do like the design and colour. I popped popcorn and strung it traditionally with thread and needle. 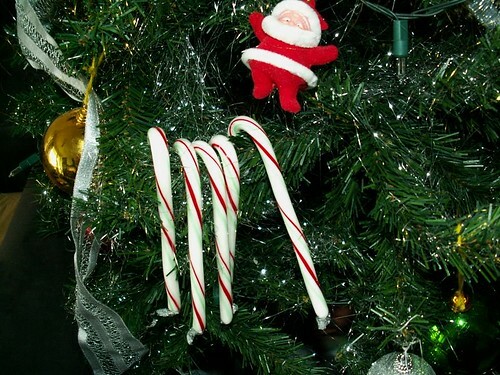 I’m sure your kids would love doing that, then use it instead of tinsel around the tree. Also, candy canes are very affordable here. If you’d like I can go accumulate some candycane and mail them to you so you’ll have a ton all year round? LOL However, I think the novelty is the rarity itself. If you have it too often (like me) you’d get tired of it fairly soon. I used to enjoy them too, but now when Xmas rolls around I get sick of seeing them everywhere.